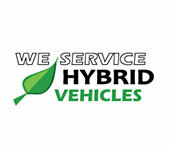 Raul's Auto Repair is here to to help you keep your hybrid or electric vehicle running efficiently and Eco-friendly. Contact us today at 626-339-7566 to set up a time for us to service your vehicle. At Raul's Auto Repair you'll find the expertise and premium parts needed to get your hybrid or electric vehicle back on the road in no time. The days of being stuck with dealer repairs, and the sky high bills that come with them, are over. At Raul's Auto Repair you'll find highly trained and qualified mechanics with expertise in every area that makes your hybrid or EV different from everyday vehicles, such as electric drivetrain components and regenerative braking systems. Your hybrid car's electric motor allows it to save gas when driving around in stop and go traffic. Getting your car rolling strains your engine much more than cruising along at a steady pace. This is where the torque of an electric motor comes into the hybrid drive system, and where your gas savings come from. At Raul's Auto Repair, our experts are trained to keep those savings coming, by ensuring that the electric motors in your hybrid or EV are in optimal working condition. We provide diagnostic testing, repairs, and preventative maintenance for drivers near Azusa to make sure your hybrid or EV remains at peak performance. Without your vehicle's battery and charging systems, those fuel-saving electric motors will have no power to turn. The specialized batteries in hybrid and electric vehicles are the costliest part of the entire system, so they should be serviced by mechanics that have expert training in the field. At Raul's Auto Repair we ensure that only certified technicians, fully trained across all major manufacturers' power systems, will service your vehicle's battery and charging systems. As with your vehicle's electric motors, we can diagnose and repair issues, as well as sourcing and installing quality replacement parts should the job require it. The capacity for regenerative braking is another clever feature of your hybrid or EV. This kind of braking essentially puts the electric motor(s) into reverse, assisting the mechanical brake pads and slowing the vehicle while generating electricity to charge the battery. A beneficial side effect of this system is the longevity that drivers see in the life of their brake system. At Raul's Auto Repair we carefully monitor your vehicle's brake pads to ensure the pads last as long as possible, saving you even more money in the process. When it's finally time to replace the pads, we'll have you back on the road within a matter of hours. If you are looking for great service for your hybrid car or electric vehicle in the Azusa CA area call Raul's Auto Repair today at 626-339-7566.